Google’s web browser Chrome accounted for about 20% market share in August 2014, during a time where other browsers were creeping up on their own percentage. Updates for the browser have remained rather quiet for the past few months until this week when Lucas Ballard, a software engineer for Google announced that a new update to an existing feature has been rolled out to protect users from harmful downloads. This notification, hard to not notice due to a completely red screen that will take over your browser, will also let the user dig further into details that explain why the targeted website has been flagged. 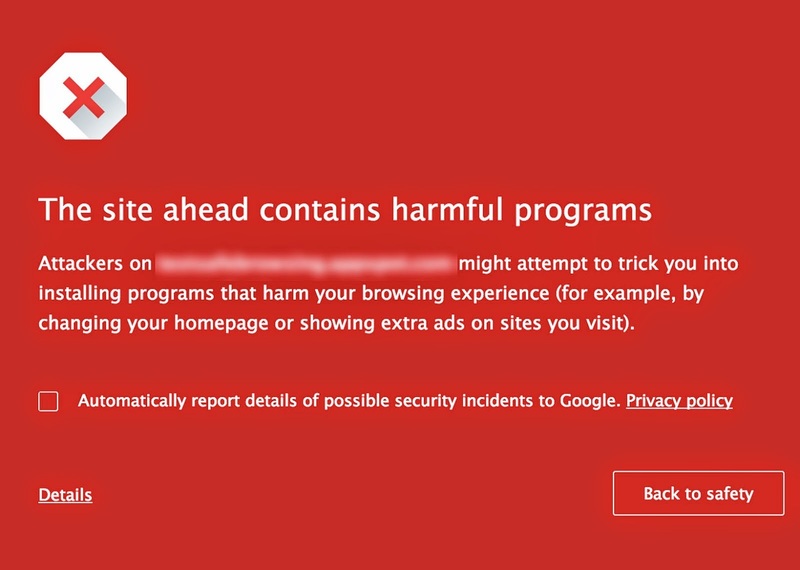 Along with the Safe Browsing update, Ballard also wrote in his blogpost that new parameters have been created in Google’s search algorithm that will prevent sites with malicious malware and other harmful programs from showing up in results at all. On top of that, the post also said that they have started disabling Google ads that will lead users to websites with unwanted software. These updates will have no effect to vast majority of webmasters and digital marketers who are currently maintaining their websites. With that said, it is highly advisable for webmasters to do an analysis of all links on their websites to make sure that none of them are pointing to sites that Google is currently targeting. Google takes unwanted software extremely seriously, and the policy regarding this software can be viewed on the profile section of their website. This move could likely be the first of a few (or many) in 2015, as the search engine giant continues to provide the cleanest results for its users. Author Bio: Ezra Melino is a writer on all things entertainment and technology. He covers subjects ranging anywhere from the Internet, satellite TV , streaming services, and more.